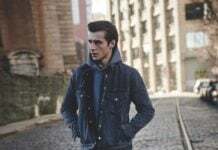 We’ve gotten our fingers on the Levi’s Australia Winter 2010 Look Book. Snapped by photographer Christopher Jeney, styled by Clemetine O’Hara, with hair and make-up by Rae Morris. This collection will be in-stores at the beginning of April.